Karshi Engineering Economics Institute (QMII) was founded in 1995 on the basis of Karshi agrarian-economics institute as a result of the fusion with Karshi branch of Tashkent technical university. 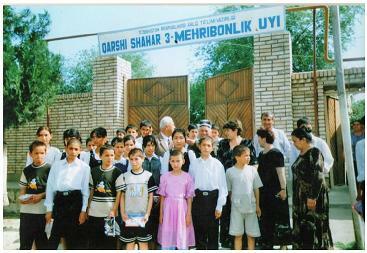 The institute is situated in the south of the Republic of Uzbekistan, Qashqadaryo province. It is a leading South Regional Higher education institution and provides specialists to the industries of 4 provinces of the country: Qashqadaryo, Surhandaryo, Buhoro, and Samarqand. The center is organized to offer and manage the activities aimed on proper behavioral education, adaptation and socialization of students and assist students for resolving physiological challenges. The center manages the support and assistance to the local orphanage. Except providing material goods, the children at the orphanage are presented entertaining programs by institutes theater troupe and musical band. Student visits are organized on regular basis to help the staff of the orphanage in everyday tasks. Except providing assistance, the objective of the latter is to introduce students to the less fortunate members of the society in order to breed humanitarian consciousness. The program of visits contain “discussion table”, where students story to children about their everyday life and inform them about the challenges of the “adult” life. Students give children advices on proper behavior and partly take part in their everyday activities such as making things, painting, sing, learning, etc. 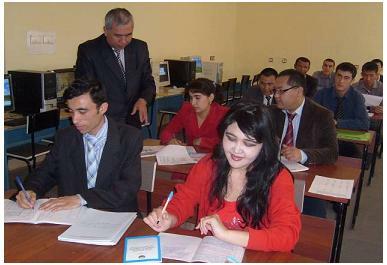 One of the main responsibilities of the center is organizing and providing seminars on propagation of “Healthy lifestyle”, “Foreign language skills for better education opportunities”, awareness building of challenges as: “AIDS”, “Terrorism, religious fundamentalism and sectarianism”, “Drug addiction”, “Human trafficking”, “International, religious and confessional tolerance”, “Environment and human carbon footprint”, etc. Similarly, topics as “Young women and entrance to independent life”, “Young women and family values”, “Healthy mother – healthy child”, “Healthy life style and family”, “Youth and family building”, etc., are propagated among young women. These seminars are organized in cooperation with other governmental and nongovernmental organizations women around the region. The center is organized to offer and manage the activities aimed on providing proficiency development trainings to the professionals of different sectors. The biggest project of the center is the training of the academic staff of the regional (Qashqadaryo and Surhandayo provinces) colleges and lyceums. The training is provided in following subjects: “Exploitation and maintenance of agricultural technique”, “Economics”, “Accounting”, “Management and marketing”, “Financing”, “Basics of entrepreneurship and business”, “Pedagogical proficiency and ethics”, “Advance educational techniques”, “Integration of modern information technologies into educational process”, “Psychology of vocational education”, “International education experience”. The project started in 2007 and around 200 pedagogues yearly participate on trainings, provided free of charge. The Institute is actively engaged in a project preparing youth to be discharged from military for entrance examinations to higher education. This program is provided to around 80 participants yearly, free of charge. 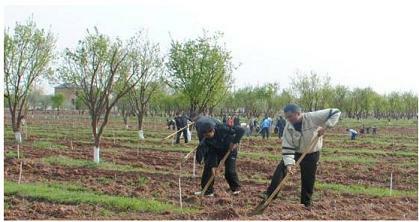 In year 2010 the Institute initiated a large scale horticultural project. This decision was made in order to save from devastation a 4.2 hectare former fruit garden in Honabod village. The land was rented by the institute in November 2010, for 49 years. Presently complete renovation of the irrigation system was done and over 20,000 different trees were planted in spring 2011. All the works were done in assistance of volunteered students and employees of the institute. Financing is provided by the Institute.